Built as a cold storage for Atlantic Fur Merchants in 1890's and converted in 2000 into a 32-unit loft spaces, 717 Atlantic Avenue condominium complex preserved its original architectural design with the original vault doors and wooden liners. Each loft space features exposed brick and beam, Terracotta Arched ceilings, over sized windows, open layouts, custom kitchens and bathrooms. There is an elevator in building for your convenience. 717 Atlantic Avenue Lofts are located in the Leather District which makes it easy to access the Red Line, Commuter Rail, Amtrak, The Mass Pike,Route 93 as well as the Bus Terminal and a few blocks to Rose Kennedy Greenway. 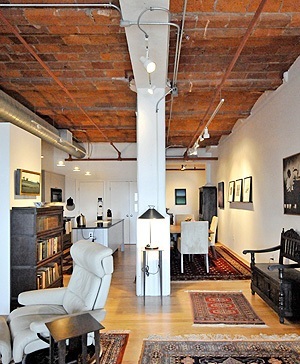 Contact us if you would like to learn more about these 717 Atlantic Avenue lofts in Boston.